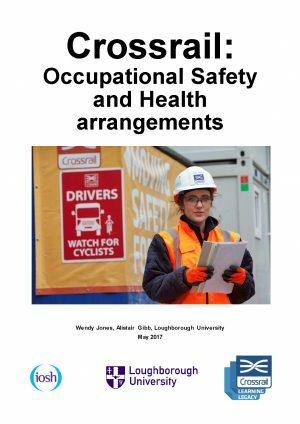 This report is part of a project funded by the Institute of Occupational Safety and Health (IOSH) to look at the implementation of OSH (Occupational Safety and Health) arrangements in complex projects. The main part of the IOSH project is an ongoing longitudinal study of the Tideway construction project. One of the aims of this Crossrail study is to inform that research by considering progression in OSH from previous projects such as the London 2012 Olympic Park, through Crossrail and on to the Tideway project and beyond. OSH management at Crossrail has developed over time since the project commenced enabling works at the end of 2008. Changing demands and developments in the industry have lead to evolving OSH arrangements. Several reports and legacy documents have been written by the Crossrail Health and Safety (H&S) team about the key OSH interventions on the project in recent years. This report provides an overview of some of these interventions, and draws out lessons for the construction industry to learn from Crossrail’s experience. There are many things which the industry can learn from Crossrail, particularly in relation to the operation of complex projects. These include the importance of sharing learning between contractors, the need to evolve management processes and OSH metrics, the need to balance the benefits of these against the demands they place on the contractors, and the importance of setting and enforcing clear standards in terms of clinical OH services and occupational hygiene services. Many learning points from Crossrail have already been taken to other projects, such as Tideway, influencing for example Tideway’s decision to specify a single provider of OH and occupational hygiene services; their focus on design for health from an early stage; and the introduction of leading indicators for OSH management. This paper in conjunction with the detailed legacy papers on the various OSH interventions will be of benefit to all OSH practitioners and management teams on all major projects. The ideas and innovative approach can be developed for any industry using this as a benchmark from which to progress. Wendy is a researcher at Loughborough University, in the School of Architecture, Building and Civil Engineering. She is part of a team undertaking longitudinal research on Tideway, funded by IOSH. She is also the main researcher on a B&CE-funded project looking at occupational health for SMEs, and how large construction projects can influence this. Other work has included a major project looking at the health impact of nanotechnology for construction and demolition; and ongoing development of the LUSKInS, a set of simulations of occupational ill-health conditions (such as dermatitis and HAVs) used for worker training in the construction sector. 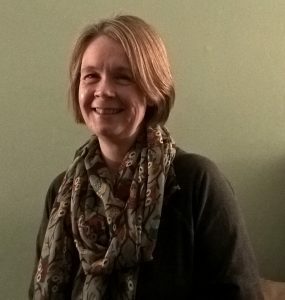 Wendy is a qualified nurse, Occupational Health Specialist and Chartered Ergonomist. She spent the earlier part of her career working as an occupational health adviser in the education, utilities and healthcare sectors. Before starting her current role in 2014 she studied for a PhD at Loughborough University Design School, looking at job quality, how this is measured and perceived, and the impact on health; and how this is influenced by individuals, employers and wider society. 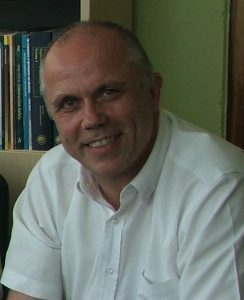 Alistair Gibb is Professor of Construction Engineering Management in the School of Architecture, Building & Civil Engineering atLoughborough University. He is a researcher and research manager in construction innovation and occupational safety and health (OSH). Qualified as a Chartered Engineer and Chartered Construction Manager, he joined Loughborough University in 1993 following a career in civil engineering and construction management of major projects. IOSH-funded longitudinal tracer study with IOSH of the effectiveness of OSH strategies and interventions on the Tideway project in London, to which this paper contributes. B&CE-funded study looking for effective strategies to transfer learning on occupational health from major projects to SMEs. IOSH-funded study of the impact of nanotechnology on construction and demolition; IOSH-funded study evaluating OSH knowledge flow across large networked organisations and a linked study working with SMEs and micro enterprises. From 2012 to 2017 Alistair held the European Construction Institute Royal Academy of Engineering Chair in complex project management based at Loughborough University. He was responsible for knowledge creation and best practice assimilation within and on behalf of ECI across the European organisation.